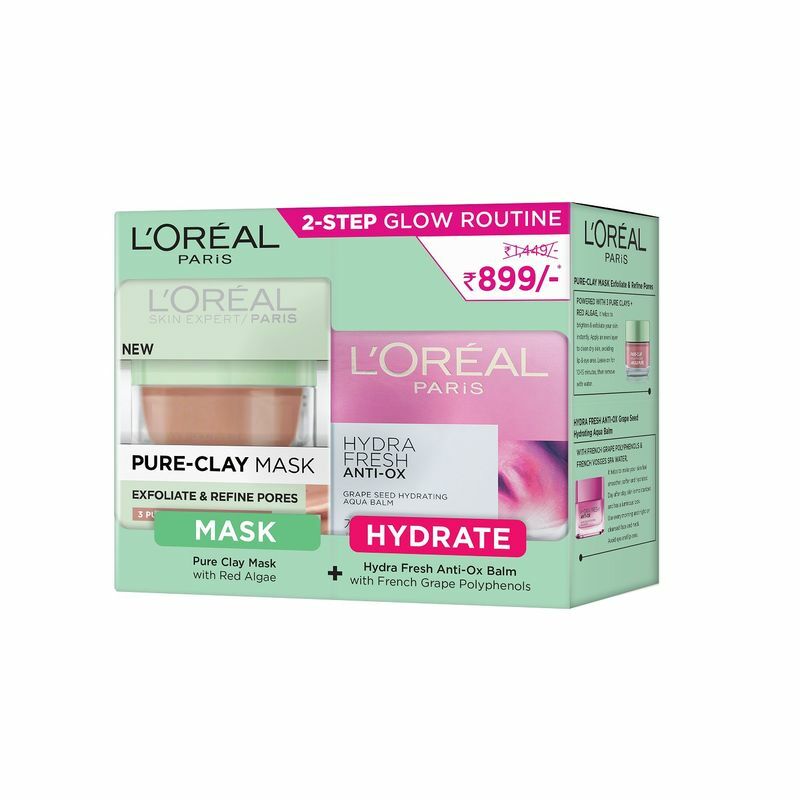 L'Oreal Paris introduces a 2-step glow routine! A skin enhancing combo that exfoliates, refines, brightens and hydrates skin to reveal polished, smooth complexion. A super charged pure exfoliating clay mask enhanced with red algae extracts to exfoliate and refine your skin in just 10 minutes. 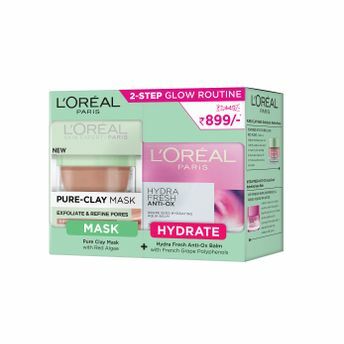 Exfoliate and refines pores pure clay mask addresses rough skin and deep clogged pores on face to reveal a polished, pore minimized and smooth complexion. Immediately skin texture appears refined and smooth. Not only will skin feel as though it can breathe, it will be healthy looking with a beautiful glow. L'Oreal Paris Hydrafresh Anti-Ox Aqua Balm with French Grape Polyphenols contains powerful antioxidant to fight against dryness, dullness and fragility, keeping skin hydrated, resilient and radiant.The powerful antioxidants helps to neutralize free radicals caused by daily aggressions while the dual moisturizing effect gives softer, smoother skin.Naturally rich in minerals, helps to stimulate cell's vitality to strengthen skin barrier for an optimal hydration level.